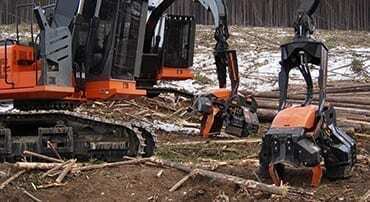 In 2012, Page Macrae Engineering was approached by Canadian company Southstar Equipment to manufacture heavy componentry for their tree harvesters. Page Macrae Engineering already had more than 15 year’s experience in the production manufacturing of high tensile steel fabrication specific to the forestry industry. Today, the main fabricated componentry for Southstar heads are manufactured by Page Macrae Engineering with the precision machining completed by other Tauranga-based engineering companies. Final assembly and testing of the harvesters are completed by Southstar in both Kamloops Canada and their new assembly facility in Rotorua New Zealand which opened in 2017. In 2018 Southstar was acquired by Komatsu which could result in increased production in the future. In 2017 Page Macrae Engineering was contracted by Ballance Agri-Nutrients to replace the sulphuric acid converter and pipework at their Mount Maunganui site. The 18,000 hour project involved the demolition and removal of the existing converter vessel and site installation of the new converter, plus fabrication and installation of new pipework, platforms and handrails. These were fabricated off-site at Page Macrae Engineering’s workshops in Mount Maunganui then transported to site. Demolition of the old converter vessel brought its challenges as its general condition was unknown. Despite this, the Page Macrae Engineering team had it demolished and removed two days ahead of schedule. The new converter was lifted into place using New Zealand’s second largest crane with 160 tonnes of counterweight. The project involved collaboration with several teams including scaffolders, insulators and other contractors all who all worked within the confined area. In 2016, Nelson Pine Ltd contracted Page Macrae Engineering to build a new coil heater for their wood processing facility in Nelson. The processing plant processes wood pulp into a range of medium density fibre board (MDF) and laminated veneer lumber (LVL) products. The pipe coils were manufactured in our dedicated piping facility while the vessel was fabricated in our Fabrication and Maintenance workshop. The heater was made up of inner, central and outer coils which were combined into one unit before being inserted into the outer vessel. Once completed, the coil heater was transported to site in Nelson where teams from our Projects, Fabrication and Maintenance and Quality Assurance departments completed the onsite installation, testing and commissioning. Collaboration between our Projects, Quality Assurance, Piping and Fabrication and Maintenance teams ensured the success of this project. In 2013, Page Macrae Engineering was contracted by McConnell Dowell to assist with the assembly of ‘Alice’, the tunnel boring machine for the Waterview Tunnel in Auckland. Our team was involved in assembling the cutting head and tail skin sections of the 14.5m diameter by 90m long tunnel boring machine. This involved welding together 20mm to 90mm thick sections of the 97 piece, 2,200-ton machine. The team worked on 24/7 roster for the duration of the contract. We are proud to have been part of the project to help ease Auckland’s traffic congestion. Page Macrae Engineering was proud to have manufactured and installed the Skyjump mechanism followed by the fabrication and installation of the Skywalk additions to Auckland’s Sky Tower. The project brought about challenges because of its height – nothing but fresh air and Auckland city 192 metres below. Components for the jump mechanism and platform were brought up through the lift shafts for installation. We are proud to have been involved with the successful Auckland Sky Walk and Sky Jump projects.